This is a original Chris Riggs sculpture. 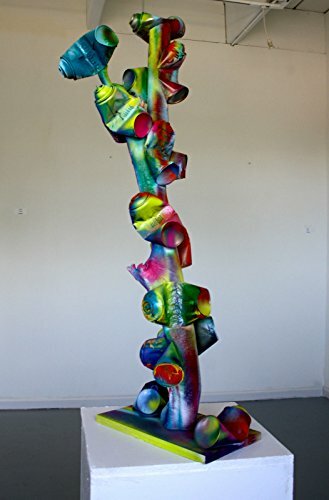 The sculpture is 44 inches tall 16 inches wide and 14 inches deep. Its ready to display. The sculpture is made with found cut trees next to the Miami everglades, and spray cans Chris used in a mural. This art work is made to last 1000s of years. We ship the art work very fast the same day you buy it, with many layers of thick protective cardboard. The sculpture is signed, dated, finger printed, and come with a certificate of authenticity. If you do not like the art for any reason we will give you a full refund. If you have any questions about this product by Chris Riggs Art Gallery, contact us by completing and submitting the form below. If you are looking for a specif part number, please include it with your message.